Product #60817 | SKU 268700 | 0.0 (no ratings yet) Thanks for your rating! A deposit of $45.00 is required for this pre-order. Wooden Camera VX Skateboard Camera Mic is a recreation of the Sony VX1000 microphone for use on modern cameras. 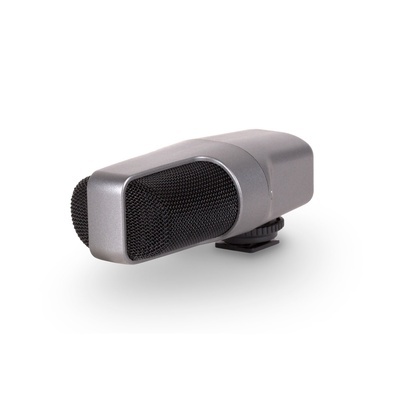 4 microphone capsules are arranged in the same orientation as the original VX1000 and a digital signal processor emulates the frequency filtering and compression. The included, coiled 3.5mm TRS cable connects the VX Mic to DSLRs, handycams, RED DSMC2, and other cameras with 3.5mm stereo inputs. Cameras with two XLR inputs require the VX Skateboard Camera Mic XLR Adapter Y Cable.